Are “Safer” Cars a Menace to Cyclists? Today’s papers report of a new government safety initiative: Cars talking to each other, for example, to warn the driver that cars ahead are stopped at a red light, or that another car is about to ignore a stop sign and blow through the intersection. A pilot project in Ann Arbor, MI, will have 2800 cars “talking to each other,” to gather data about the system’s effectiveness before it is made mandatory in all new cars. “This is a big day for safety,” Transportation Secretary Ray LaHood said at the University of Michigan, as the experiment was kicked off. I am not so sure. Does more technology make driving safer? Or does it lull drivers into a sense of safety, and makes them less alert? If I know that my car will warn others if I “miss” a stop sign, do I still look for signs as much as I did before? And if I don’t look out as much any longer, what else will I miss? My biggest concerns about this new technology are the people it leaves out: Cyclists and pedestrians will not be equipped with transmitters. As a modern driver is approaching an intersection and relying on the sensors to tell whether other traffic is approaching, he or she will be less likely to look out for pedestrians and cyclists. I also can imagine the “talking car” flashing an alert about cars stopped a block ahead, even though the driver really should be watching for a cyclist approaching from the right. “I didn’t see you” already is the most common excuse we get when somebody almost hit us. Really? You didn’t see a large, bright, moving object that was just 30 feet away? The sad truth is that with many new cars, the driver might as well say “I could not see you.” Modern cars have thick pillars for rollover protection, and thick padding on top of these thick pillars to protect the occupants’ heads if they slam against them in accidents. All this extra “safety” has created huge blind spots. In fact, the “safety device” used in the experiment (see photo at the top of this post) creates an additional blind spot and adds distraction right in the driver’s field of vision. 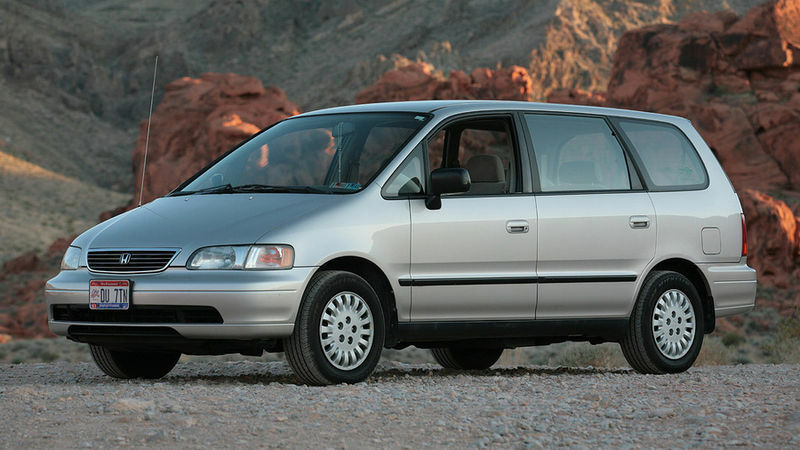 A few years ago, I almost was hit by a driver in a first-generation Honda Odyssey minivan (above). She had a stop sign, I had the right-of-way. She stopped and I proceeded. Then she started as well, oblivious to my approach. After I came to a stop, rear wheel off the ground, inches from her passenger door, she rolled down the window and apologized: “I am so sorry, but this car has a huge blind spot at the front, and I did not see you.” Peering inside, I could see that there were two thick pillars with a tiny triangular window in between, creating a blind spot that extended from about 1 o’clock to 2 o’clock – exactly the place where a cyclist or a pedestrian coming from the right would be. Why is this legal? Despite our obsession with safety, we seem to assume that accidents just happen, and that we can’t do anything to prevent them. In addition to the padded pillars, the Honda was equipped with airbags, so that the driver would be protected when they hit the things they could not see. There is increasing evidence that this approach is not working well. The United States has the safest cars in the world (mostly because our cars are bigger than most other countries’), yet our traffic fatalities are among the highest in the developed world, and unlike the rest of the world, they aren’t decreasing much, even as our cars get safer. It appears that as our cars get safer, our driving gets worse. What would happen if we used the money spent on airbags for driver training instead? What would happen if we stopped making accidents “survivable”? Would the quality of the driving improve? Would drivers pay more attention if they realized that each drive might be their last? As it is, I feel that attempts to make cars safer by correcting for drivers’ errors are a real menace for cyclists and pedestrians. I feel that we should encourage drivers to pay more attention to their surroundings, not less. I hope the study in Ann Arbor looks at that. Will any reduction in car-to-car accidents by the “talking cars” come at the expense of an increase of car-to-bike and car-to-pedestrian accidents? This entry was posted in Cycling Safety. Bookmark the permalink. 58 Responses to Are “Safer” Cars a Menace to Cyclists? The more idiot-proof they make cars, the more idiots drive them. It’s not so much that cars have blind spots, it’s the drivers who don’t compensate. You don’t have to wonder about what would happen if we didn’t make safer cars. Look at the historical record. It ain’t pretty. Something’s worked pretty well. We’re killing 20,000 fewer people annually on the highways. Granted, the biggest drop happened in 1973 and had nothing to do with safer cars. That was all about the 55mph speed limit. Also, I imagine drunk driving rates have decreased significantly. So I agree somewhat: The biggest gains are probably to be had by getting people to drive slower, soberer, more carefully, and most importantly: less! But I wouldn’t rule out safety technology altogether. Modern cars are less likely to crash, and their passengers less likely to die. That’s a good thing. Modern cars are less likely to crash, and their passengers less likely to die. That’s a good thing. I agree. Especially in the U.S., huge advances have been made in “active” safety since the 1960s: Better brakes, better suspension, etc., help prevent accidents. And of course, the advances in passive safety – seat belts being the most important – also have saved many innocent lives. None of these directly encourage drivers to pay less attention, since they do not take over the driving. However, the new rash of technologies like “lane departure warning”, “brake assist” and “blind spot warning” are fundamentally different. They take over the driving, allowing the driver not to pay attention any more. The new “talking cars” fall into that category. Even automatic transmissions encourage drivers to pay less attention, or at least it does for me. I feel like a much safer driver when I’m driving a manual transmission. With manual transmission, you need to anticipate the road ahead and think about it, so you can shift as the conditions change. Automatic transmission transforms the car into “point-and-shoot”, and requires much less foresight. Better brakes — at least, antilock brakes — have had almost no effect. Active suspension has had a huge effect. With respect to manual shifting making drivers more attentive, I’ve seen no evidence whatsoever that automatic transmission-equipped cars are more hazardous than manual shifters. If I had to guess, it would be the opposite if you corrected for confounders (different driver populations). I suspect you are falling prey to (1) “anecdata” and (2) the myth of multitasking. Having to shift increases the number of decisions per unit time, and number of decisions per unit time is negatively correlated with poor performance under stress. There’s a large body of UI literature on this point. Note further that self-reported user perception is an extremely poor indicator of actual performance in the case of distractors. Why? Because we literally cannot judge our own performance when we are distracted. The main point was that anything that allows drivers to take their minds off the task at had – driving – is not a good thing. Drivers will multi-task, no matter what. I prefer them to multi-task by looking ahead and determining whether they have to shift gears, than multi-task by playing with the radio settings. I am in favor of keeping drivers engaged in the process of driving, rather than making it so easy for them that they might fall asleep or distract themselves with other things. The reason for the alleged drop in fatalities is they changed the way they count! The 55 limit wasn’t popular so they (DOT) claimed it was reducing fatal accidents. up to a year later. After that they only counted those that died at the crash. Great post. I’ve long felt that drivers are becoming increasingly detatched from the fact that they are operating heavy equipment. I’ve also felt that the the practical portion of the licensing test should be more extensive and that drivers should have to re-take it at least every five years to maintain their license. But I expect that would not be a poplular position for any politician to take…. When I took my driver’s test in Germany, I had to do a mandatory 20 hours of classroom lessons and a mandatory 20 hours of driving instructions. Of the three aspiring drivers who lined up for the test that day, I was the only one who passed on the first try. I was recently appointed director of the Motor Vehicle Division of a southwestern state, and agree that the way that drivers are trained in the U.S. isn’t optimum. In partnership with a number of local organizations, we’re about to launch a major revision in our driver’s manual and driver testing to seek to address this. I’m familiar with the German approach, and we’ll probably move closer to that model; also, there are all sorts of new safety-related issues which didn’t exist even ten years ago–like texting when driving, and in many states, the complexities of roundabouts–that driver training needs to address. How to drive safely around bicyclists and other alternative forms of transportation is something else that needs strengthened training. So far, every constituency we’ve approached seems to be enthusiastically supportive. A major emerging issue within motor vehicle operations are self-driving cars–the ultimate extension of assisted driving technology. Nevada has already kicked off a titling and registration process for cars that drive themselves. 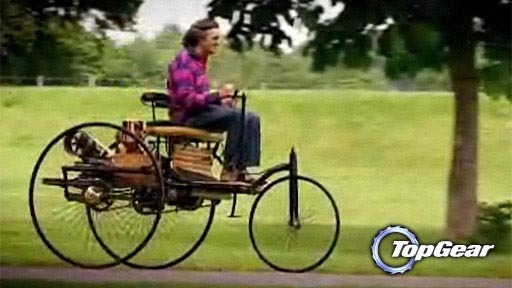 I haven’t yet cruised around in one of these, but I have heard that they don’t sacrifice bicyclists and pedestrians while lowering accidents with other sensor-equipped vehicles. I don’t have any statistics to back this up, but I have a feeling that if Americans were really trained to drive–to learn how to drive a manual transmission, to learn the limits of their vehicles and how they behaved near their limits–everyone (cyclists, pedestrians, other motorists) would be a lot safer. There’s a lot of pleasure to be had in precisely piloting a vehicle and doing it well, but most modern cars are just padded boxes that one points in a general direction. This discourages driver engagement and turns driving from a pleasure into a chore. On the other hand, since most Americans don’t seem inclined to learn to engage with their machines, motorized or not, maybe we do deserve autonomous padded boxes. I’m so glad you wrote this post. I’ve had the exact same concerns about this technology when it is breathlessly reported. No one seems to consider other road users might not be driving a motor vehicle. No beacon == not seen. That concerns me. I was cut off by a talking car in traffic the other day. The dashboard screen displayed an image of a hand with the middle finger raised as it said to me “WHY DON’T YOU GO RIDE ON THE SIDEWALK!! !” so the driver could concentrate on updating their facebook page. I am sceptical that safety improvements in the cars themselves contribute to more car-on-bike accidents. Drivers who pay attention to their surroundings and actively concentrate on operating their vehicles are far more likely to see and avoid bicyclists and pedestrians; those who spend their time talking on cell phones, texting, combing their hair – even reading the paper! – behind the wheel are the real menace. In short, the accident rate is inversely proportional to IQ, and idiocy, negligible attention spans, and blythe indifference to the rest of the world are greatly increased in the last decade. Sad. You are right that drivers choose to be distracted, but we can either encourage that or discourage it. Cars that do the driving for you encourage you to do other things while driving. And cars that make you feel safe also may encourage you to take your mind off the task at hand. There have already been many interesting running discussions related to these concerns (above), and that has been on-going for many years. The theory (in some circles, anyways) is that as we have introduced ABS, ever-more airbags, crumple zones, fuel-system crash-integrity regs., side-impact beams, traction-control, stability-control, ‘smart’ driver warning systems, etc., etc., at least some statistically significant number of fine citizens has decided (consciously or sub-consciously, no one is really sure) to take more and larger risks. I’m not sure I buy that theory, but I do think that as the driving experience has become ever-more isolated from the outside world, through far better sound-deadening, power-everything, vastly-higher-performance sound systems, and now LCD screens of all sorts, fixed and mobile, an increasing percentage of drivers are almost completely unaware of their surroundings. I would use the ’39 club’ as an example. Next time you are behind a distracted driver, on a surface street, outside of any crowded city, regardless of age, gender, or other factors, match his/her speed for a while. More often than not, I’d wager it will be about 39 mph. It has nothing to do with posted limits. These drivers will run at 39 whether the posted limit is 30, 45, or 55. Often, they are either in some animated conversation with their right-front passenger, or distracted by some hand-held device. Driving is a full-time job!!!! I like my cars (I have more than one, and none of them is boring), so it’s not like I am some ‘Prius-driving do-gooder,’ but this is getting nutty (and increasingly dangerous to others). Honestly, this is a silly statement and a pointless hypothetical. Your assumption that this all comes out of one budget/pool of money is flat out wrong (and I know you’re smart enough know this!) Airbags are mandated by law and an expense born by the automaker. In theory it’s an expense born by the consumer but not really since you can’t buy a new car without them – no motorist can decide to save a few bucks by buying a new car not equipped with air bags. Driver training is not required and is entirely up to the individual motorist to pay for (or not). You can pay good money and go to a professional driving school such as the Bondurant school I went to in the military or you can pay nothing and walk in and take your test. Tougher licensing standards are the domain of the individual states and paid for out of state budgets. There’s nothing stopping voters from demanding tougher standards. It’s NOT the either/or equation you make it out to be. There’s absolutely no reason we can’t have safer cars AND tougher driving standards. In fact, this is exactly how things have been working for several years. We now require seat belts and air bags in new cars AND most states now have tighter licensing requirements for teenage drivers – in many states gone are the days when you could get your license on your 16th birthday and legally drive all night with a bunch of friends in the car. Perhaps, but in the end the airbags will still save more lives even when you factor in potential accidents which might be the cause of blind spots. New technology *might* make things more dangerous for a VERY small number of road users but it’s REALLY hard to see how this technology will result in a net loss of life. The estimate is that forward collision warning systems could help save 5,000 lives and 50,000 injuries a year and that’s in the more safety minded EU. Even if that number is overstated by a factor of 5 it’s hard to imagine these systems causing more harm than good. There’s also no reason collision avoidance technology can’t be tuned to work for pedestrians and cyclists. 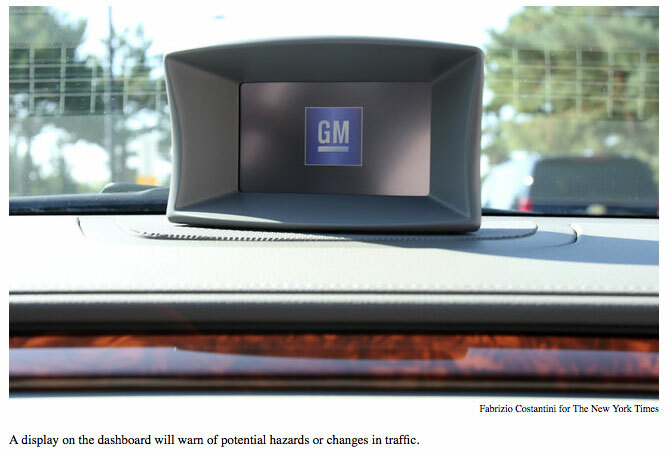 In fact, it already does and several new cars now come with automated sensors to warn drivers if they’re about to back into a solid object (like a child). This technology is becoming very common and not just in luxury cars. Our modestly priced Subaru has a back up warning sensor that will beep if you get to close to an object. Technology isn’t a cure all and better driver training is always a good idea. However, it’s false to assume that one comes at the expense of the other. New technology *might* make things more dangerous for a VERY small number of road users but it’s REALLY hard to see how this technology will result in a net loss of life. I am not heartened by the fact that this new technology will save the lives of those driving carelessly, but risk the lives of those riding bikes or walking. I don’t like placing the value of one life higher than another, but protecting people from their own mistakes at the expense of others does not seem a good idea. Jan, I think it’s speculative to assume that the technology you’re referencing is likely to kill bicyclists at the expense of motorists. Exactly what are you basing that on? Currently, the “talking car” technology leaves out cyclists and pedestrians. As drivers rely more on the technology, that will make those who don’t have the technology less visible. I can’t remember where I read this suggestion … but the author suggested that perhaps a good way to make driving safe would be to attach a large steel spike (point out) to the center of the steering wheel on all cars. Blind spots in modern automotive design are a particular pet peeve of mine . For all the supposed safety , technology , ABS – TC etc etc : to allow the plethora of blind spots that are currently found on todays cars makes the entire concept of Automotive Safety in fact an Oxymoron when it comes most modern autos IMO .How can a car be ‘ safe ‘ when you can’t see properly out of it ? As to all that technology keeping us safer , many are now discovering that all those safety devices in fact promote a false sense of security in far too many of todays drivers … allowing them to feel safe while distracted etc because ” All that technology will keep me safe : so why bother ” The Automotive Insurance companies have noticed this as well . When researching our current automotive purchase , the Volvo XC60 was high up on our list . Until that is I looked into the insurance costs for the Volvo vs the other cars under consideration . The Volvo being some 30% more expensive to insure despite it costing less to purchase . Having a good relationship with our agent ( major company ) and wanting to know exactly why … with all Volvo’s good reputation for safety … the XC was so much more expensive to insure in light of the competition costing more I asked . I think an interesting experiment would be cars without cup holders ,vanity mirrors or easily accessed pockets. More than any other distraction is the ever present drink. One commenter mentions driver engagement, or lack thereof. This reminds me of a notion I have long had about increasing driver engagement and maybe even reducing that “I didn’t see the cyclists” excuse. How about if all cars were built without roofs? Maybe no windshields either. And the drivers had to sit up high as well as out in the open, as in ‘touring cars’ of the first two decades of automobiles. They would have to look the cyclist in the eye…as well as wearing rain gear. Most would probably do what many people do in other parts of the world than North America – take transit. Wouldn’t that be great for cycling? Best designed car I ever had was an 86 Honda Accord- Excellent visibility, the instrument panel was intuitive and easy to read, manual transmission, extremely reliable. It seems like every year the cars I see (rental cars, friends cars, etc) just get worse and worse. Some have huge blind spots, it takes forever just to figure out how to turn the lights on, and so on. And I agree with most of you that the “collision avoidance technology” is crap. No one would pay attention to it anyway because they’re too busy texting while driving. The weakest link by far is the human brain operating the vehicle. Speed is a distant second. A system by which a group of exceptionally heavy cars “communicates” in order to avoid collisions … sounds a lot like a train? I just died a little on the inside. Let’s not forget the computer dictum: ‘garbage in, garbage out’; that is, any safety features PROGRAMMED are only as good as the programme. So Jan’s concern is quite valid – the automated features may not take into account the bicyclists specifically, although they may consider the pedestrians. A corollary is of course the cultural aspect – if we do not value the cyclists enough – as in the Netherlands – then we shall not expect the automated safety features to do so, therefore the programmers will not be asked to think about that. Further is the expectation here that streets can dispense of the sidewalks, thereby excluding anything that is not vehicular traffic. Finally, I agree that, anecdotally, driving a manual gear box and non-assisted steering [as I had learned at age 8!] forces one to pay more attention to the job at hand. Garbage in, garbage out refers to the input of the computer program. Not how good the computer program is in the first place. Computers are already safer to use as pilots for planes, trains, etc, and they land space ships on Mars. There’s no reason why computers wouldn’t be safer at driving cars. Garbage in/out may apply to the fact that the input to these computer programs don’t include bikes and pedestrians, though, yes. Anything that makes driving easier for the driver lets them do other things and have their attention wander. That said, I don’t understand the comments that say driving a manual car is safer. How is having to share your attention with the road and shifting gears any different than sharing your attention with the road and grabbing a cup of coffee? I don’t think you have to anticipate the road to drive a manual, I don’t remember ever thinking “oh there’s a hill I might have to gear down.” I just gear down when I’m going slower, and gear up when faster, doesn’t have much of anything to do with the road. Especially since cars can just hammer up the hill at whatever speed they feel like usually, which is quite different than having to anticipate the grade of a hill on a bicycle to get the right gear. I’m more focused when I’m the one shifting. Great subject! Yes the newer cars has made drivers very insensitive or should I say more insensitive to their surrounding area, and of the vehicle’s limits. And add all of the distractions added inside the driver’s views, GPS, cell phones, texting and to some watching videos and other moronic things. Motor Vehicles needs to be down rated in regards to power, size and speed and automation to get the driver feel back into them again. These bigger Vehicles rides so smooth and loaded with so much power, the driver has no idea what is going on outside anymore. Maybe. Or maybe the Xanax nation would still be dopey drivers in unsafe cars. Stressed out, hurried, distracted people are stressed out, hurried, distracted drivers regardless of the vehicles they’re in. Yes, technology has contributed to the disengagement of drivers from what it used to be back in the day. And I sometimes wonder if more drivers just simply spent more/any time as a pedestrian they would be more conscious of the dangers of inattention/disengagement. I see drivers all the time blow through stop signs, etc., because they see no other car. Clearly, though, they are often not considering whether there might be a pedestrian, cyclist, animal not readily visible. Today, though, a motorist stopped in front of me in the pouring rain, and at some risk to herself, moved a black lab away from the roadway. I’ll bet she’s a walker. BTW, I’ve got a current edition Odyssey & the A&B pillars have been slimmed down indeed. Very thoughtful and thought-provoking entry. Why assume transmitters would not be available for cyclists and pedestrians at some point in the future? I would love to have a beacon in my pocket/cell phone that would light up every nearby car’s warning system. The fact is that the current study does not mention cyclists and pedestrians at all. Maybe we should ask for it – and then remember to bring the transmitter every time we leave the house. Or maybe they can be implanted, like the chips on some pets? Or embedded in the next SON hub? I like it! A transmitter for every road user would be fascism. There is no other reason for this imaginable than total suppression. Unfortunately my days of road riding are quickly coming to an end. Because I have been training for a 1/2 marathon I have been running more, and I’ve only been mountain biking when I have the chance. I haven’t missed the road one bit. Too many people texting, talking, and not paying attention. We are not getting more roads, less drivers, or fewer electronic devices so I can’t see how the situation will ever get any better. When I started riding the road 40 years ago, it seemed like the most common interaction with drivers was them trying to teach me a lesson: often by honking, yelling, threatening and throwing things. I was run off the road regularly, people would pull up directly next to me before turning, etc. Such encounters were more common on the least busy roads, where it seemed every driver had a grudge, not just a tiny minority of a large number. In recent years the pattern has reversed. More often drivers are overly cautions around bikes: not taking the right-of-way, waiting at 4-way stops even when I haven’t even arrived yet, hanging back for several blocks rather than pass and turn at a safe distance. Worst of all, they anticipate me doing stupid things: running red lights, stop signs, and illegal turns. I don’t do these things, but enough cyclists do that it is expected. Overall I feel safer riding a bike in the streets of Los Angeles and Orange Counties now than 40 years ago, in spite of having about 8 times as many cars on the road. Many factors contribute to this: more traffic in general, more bicycles, a public cycling safety campaign, bike lanes, and more drivers who ride or have children who ride. So I do not feel that auto safety features have made cycling more dangerous for me. When it comes to the new generation of active safety systems, I look at it in the furthest extreme. What if every car could have at the wheel a fully dedicated, perfectly trained driver who is never distracted, and has senses and reaction times that are far beyond human? Technology will someday provide this. It is up to us to make sure that our laws and culture adapt to the ever changing situation. The positive trend you mention has been very noticeable in Seattle as well: As more people cycle, cycling has become socially acceptable. Perhaps more importantly, as more people know cyclists, they see us as individuals, rather than a uniform group. Hate crimes against people that the perpetrator never has met (and that is what you experienced) only are perpetrated against people who are seen as a group of “others” that somehow threaten the perpetrator’s beliefs and way of life. In Seattle, the positive trend of people realizing that cyclists are on the roads and expecting them to be there has outweighed the negative trends of distracted driving. However, it would be nice if we could have the positive trend with the offset from the negative. Hello. I saw a video about this months ago where the engineers and PR guys were talking about it and getting interviewed while demonstrating the tech. One of the fellows said in no uncertain terms that the system would also have to rely on pedestrians and cyclists carrying a transmitter as well. The tech, though, is found in smartphones- GPS and wifi. It could be expected that future phones will have this built in or get an app for it. This system will also require retro-fitting older cars, of course. But the tech should be so cheap (even if not subsidized by the government, which will save money from this) that everyone can get one. This is an extension of a safety feature already found in some cars. When signaling, there is an indicator alerting the driver that someone is in the blindspot or approaching it. This is especially helpful for some on highways. I don’t think, though, that is makes people less likely to check their mirrors. As Columbo said, “People do not usually forget to do that which they usually do.” If people are in the habit of looking already, I think they’ll continue. If they aren’t in the habit of looking now, hopefully the car will and will alert them. Hopefully this helps set your mind at ease. With reservations, I would have to agree that technology is supplemental to, not a disinclination toward good driving habits. When a sudden change happens, problems become very visible and we learn to correct. It was hell on the roads when cell phones first came out and very few people used them. Now the air force likes young pilots because they multitask better. Further, it would be a pretty stupid warning system if it did not warn about children, mailboxes, trees, rocks, deer, historic landmarks, washouts, or anything else without a transponder. But if there is one chance in a bazzilion that a transponder would save my life, I will carry one. Cars probably will pack in much more closely and at higher speeds on protected right-of-ways. In theory, stoplights could be replaced by precision timing, like demolition derby without the demolition. Then cyclists and padestrians could no longer cross the street! In the end, I do not want to be one of the statistics that teach society to use this technology apropriately. So I say bravo to Jan for flagging the issue before it happens. It is real forward thinking, especialy for a publication that started out “vintage”. Awareness such as this will steer us right, at many levels. The purpose of this tech is to see in blind spots, like around a blind corner. It’s obviously better to be alerted sometimes with this tech then never as drivers are now. As far as the possibility that sometimes new car tech can make people more oblivious, I’d say that it hasn’t really been a problem for cruise control. The percentage of traffic incidents with the tech will be lower than without, even if it’s not zero. The car is gaining a new set of eyes and when I’m driving, personally, I like to have passengers alert me to situations that I don’t see. I suspect that one of the intended benefits of this technology is indeed that: packing cars more closely on already very dense streets and get the traffic move faster. I don’t know how much of a problem traffic density is in the US, but I would imagine that in the cities where most people now live, it is not much different from what’s happening here in Europe, where most city centres are now hell to drive in. However, while contributing nothing to the problem and indeed being the cheapest and quickest solution to the problem (and a few others besides), non motorized traffic is not in the equation at all. In this way pedestrians and most of all cyclists would become even more the second zone road users they already are. I don’t buy at all into the supposed solutions like carrying a mobile phone or transponder or whatnot all the time. A chain is only always as strong as it’s weakest link, and this one would be very weak indeed. Great post Jan. What the technology does is decided by the people who design it. Ryan, I have driven a manual since 1967, and, as I mentioned, it seems people who have that training are more in tune & control of their car, all other thing being equal, because the mind frame of those people is conditioned to be alert at all times, lest they miss a gear – [they have to add the correct input al the time – the clutch, the gears, etc – you cannot possibly equal that to grabbing a cup of coffee]. A car cannot just go up any hill in any gear just like that, and we – who grew up on manual gears – anticipate a hill & down-shift 1 or 2 gears about a third up. You do not ‘gear down’ to slow down, you gear down to provide torque at slow speeds and power the car in a turn or up the hill, so if I need to take a curve at about 40mph, I brake as I down-shift into 2nd, get back on the throttle, then up-shift into 3rd, 4th, etc. In fact, the puny European motors of old – 600cc to 1200cc – are quite like a bicycle – underpowered – so they benefit from many gears and many gear changes. But we are digressing – the point is the bicyclists would benefit from people who mind their driving & their environs and excluding the bicycle from a programmed warning system is terrible. A good article, with a point well made. John Adams, in his book Risk, suggests that people will always maintain the same level of perceived risk. His tongue-in-cheek suggestion for reducing the speed of cars is to put a large spike in the middle of the steering wheel and remove the seat belts, and thus raise the level of perceived risk! He also points out that people are very bad at evaluating risk and proabablity (think of the person who goes to a newsagent and buys a lottery ticket, expecting to win; and a packet of cigarettes, expecting not to get cancer). This does indeed look like a system that is invented without due analysis of accident statistics. I live in the Netherlands, and most fatalities here are vulnerable road users such as pedestrians, cyclists, and increasingly also riders of these fashionable but dangerous mopeds. Luckily the European Union has begun to legislate that the fronts of cars should be safer (rounder, smoother and softer) in case of a collision with pedestrians and cyclists. And trucks and trailers should have skirts so a cyclists cannot get under a truck. Trucks should also have extra blind spot mirrors or even camera’s. All this fact based policy making has a much better chance to actually reduce fatalities than electronics that prevent collisions between two cars each going no more than perhaps 20 miles. It also pays to look at how and when accidents occur. Drink is a major factor, and here I think the US still has a long way to go. Alcohol testers can be built into the instrument panel (and here they are now sometimes mandated for drivers who have been convicted). Driving at night is another risk factor. Many accidents happen in the dark. Better street lighting helps a lot, and again the US has a long way to go compared to e.g. Holland or Germany where intersections are carefully designed and lighted on the basis of extensive scientific research to enhance visibility and reduce visual complexity (and no bill boards…). Finally, age of the driver. Young, and particularly male, drivers are responsible for a disproportionate share of serious accidents. Raising the minimum age for drivers to e.g. 21 years will make a vast difference. I have never had an accident (or a ticket) in my entire driving career, and I think this is partly due to my realization that I need to be on the ball, and that driving is a dangerous thing to do, and requires the same kind of dedication and adherence to standard procedure as piloting an aircraft. Therefore, I agree that better driving tuition and tougher exam standards may reduce the accident rate, but I am not convinced that making driving more demanding and complex will reduce accidents. I drive an exquisitely handling European mid size car, with automatic transmission. It gives great feedback, but I also think the automatic transmission it has made my driving safer, simply because there is less to distract me. Driving in crowded urban traffic surrounded by dozens of sometimes pretty suicidal cyclists at any one time is hectic enough as it is. Transmitters warning me of the cyclists with 150 feet range will not help me there. There will always be many – fortunately. Raising the driving age would not be feasible in North America. Public transportation in any but the largest cities is unreliable or non-existent. What happened to bicycles? They can provide transportation for youngsters over distances that are too far to walk even in places with no public transit. However, you mention a good point: In the U.S., most people must drive their cars, whether they want to or not. Forced to drive, they try doing other things they’d rather do – whether talking on the phone or even reading books. (Incredible, but true – I have seen drivers on the freeway traveling 100 feet every second, and alternating between looking at their book and the road ahead.) Others continue to drive even though they are too tired to do so. My concern is that these new technologies make it easier to do this, since they allow you to keep the car on the road without being fully engaged in its operation. I think the two alternatives are either driver-less cars, or cars that have the driver fully present. The half-way solutions of cars that correct for some, but not all, of the driver’s mistakes seem the most dangerous of all. If a driverless car crashes whose fault is it? Oh I forgot this is america nobody is ever at fault. Plus electronics and computers are 100% reliable and failsafe. Yes modern cars are more safe, except you can’t see out of them. Someone already said it but it bears repeating. Trying to make idiot proof cars will just get you better idiots. Do not think European public transportation is that good. When we moved to the city where we now live, we had a choice: buy a cheaper house in one of the villages, get a second car, and drive the kinds around, or pay a premium price for a house in the city, and save the expense of one car less. We chose the latter.and ride our bikes to school and work (6 and 8 kms one way respectively for the kids and mostly 5 km for me – my wife works at home). We do this all year, come rain, come snow. Financially the two alternatives worked out quite similarly, but I think we now have the better life. Some of the kids in my son’s school do live in the villages, and they have to ride for 2×20 km a day. Once kids are 18, and go to college/university, they do not need cars in any case. They can live on campus, do their sports on campus, eat on campus, or buy their food nearby. See here http://www.swov.nl/rapport/R-2012-08.pdf for a just released pretty comprehensive (203pp) study by the Netherlands Research Institute for Traffic Safety, on the safety of bicycles in Dutch traffic. It is unfortunately in Dutch, but maybe they will publish an English version in an international journal.